Almost every jeweller will be able to tell you about the 4 C's which affect diamond prices. We can tell you about a dozen C's which affect prices. De Beers who run the Diamond Promotion Service pump out information to all jewellers about their famous 4 C's, the four factors which affect diamond prices. The DPS wants you the consumer to be aware of the different diamond qualities, so that it can get you to pay more money for better quality diamonds. Sadly, a few jewellery shops can't or won't tell you about the 4 C's. Our advice is to avoid such shops. There is an important distinction between a jeweller and a jewellery shop, we are sure you can work that out for yourself. Start at the "Cut" link, and when you have finished each page, click on the "Next Stop" link. Most jewellers can't tell you any more C's because nobody has told them, and they haven't bothered to work it out for themselves. We give a lot of thought to these extra C's. If you like to think for yourself, you may want to look at what follows, and see if you agree with us. You can go directly to any of the following links, or you can take our Beyond the 4C's Tour, then when you have finished each page, click the "Next Stop" link. Some diamonds are cloudy and do not sparkle. Jewellers get diamonds on "Sale or Return". There as advantages and disadvantages. You need to have confidence in your jeweller. This should not just be a blind leap of faith. Cash, Cheque, Credit, Cards. All these can make a difference. Competition does not always lower prices. Sometimes it has the opposite effect! Laboratories exist which will grade and certificate diamonds for quality. Compromise is necessary to balance the different factors. Diamonds are cheap compared with other consumer purchases. Clicks and Mortar or Bricks and Mortar? Apply a little common sense. We hope this is where you will end up! Notes about colour enhancement of diamonds. A few thoughts about conflict diamonds. Comparison of diamonds is desirable but difficult. 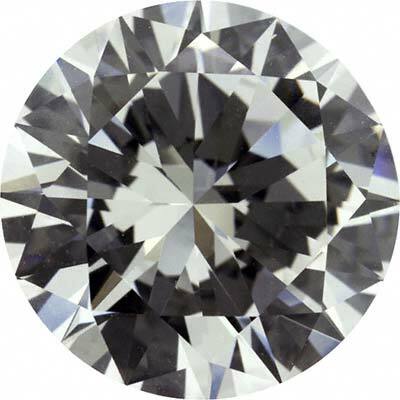 Synthetic diamonds can be created from carbon. Do De Beers Control the Diamond Market? Try our diamond challenge to get you an even better deal. It's important not to confuse the 4C's above with an Italian saying about 3C's - Cuore, Cervello, Coglioni, which means something completely different!